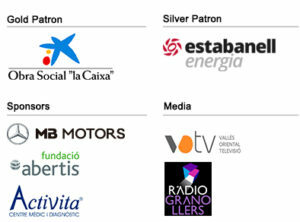 Which projects are we developing? 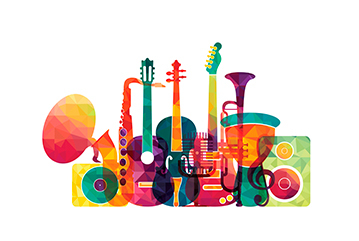 The Granollers Chamber Orchestra, is a musical training rooted in the territory,boosts and supports different projects in its surrounding area and not forgetting its role as an equable musical training, developing and playing in a musical panorama and the culture of the country. With an equable family programme parallel with its seasonal programme and guided visits for schools to help create new audiences, which become in the future, a society interested in culture and music in particular. The objectives of this project in the city are diverse, but clearly cohesive together. 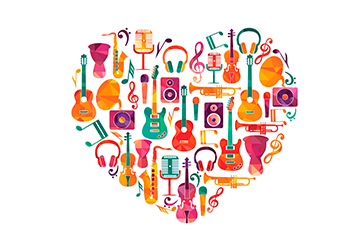 Split up into a fundamental educational tool: the capacity music has to connect with emotions, converting this into the inherent reality of the person and their personal and social growth. Approaching music from its most therapeutic side, the patients from Granollers hospital with mental discapacitty from the Valles Foundation and prisoners from the prison Quatre Camins with mental discapacitty also organise small concerts, workshops and talks (Musicanim Project). 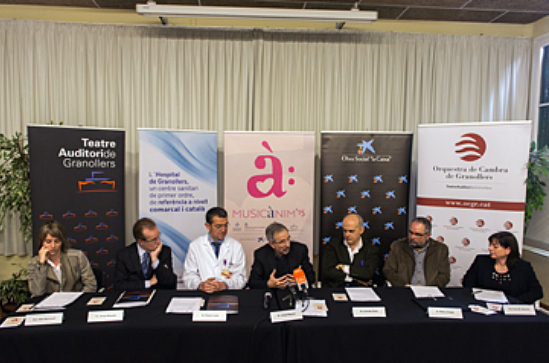 Musicanim is a musical project using music as a therapy aims to increase the level of satisfaction of the participants and staff from Granollers Hospital and provides the musicians from OCGr with another new social dimension to their professional training. 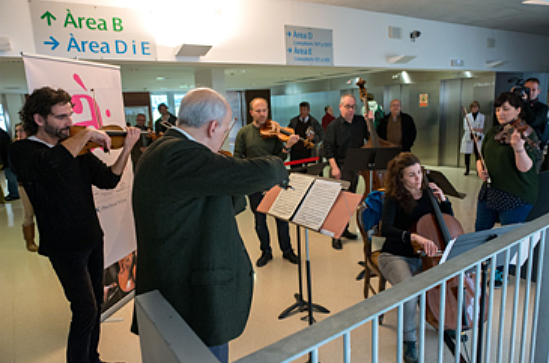 This project was born after a signed agreement between the hospital and the Orchestra foundation, voluntary collaboration at all levels of the Orchestra and pardoned by “l’obra Social La Caixa”. In the first phasethere was the development of musical activities in different parts of the hospital, coordinated by a musical therapist (waiting room, oncology day unit, say surgery unit, palliative care unit. The second phase, participants with mental discapacitty from the centre “Fundació Valles” were able to enjoy different activities coordinated by the musical therapist (open rehearsals in the Auditorium Theatre, chats with the musical director of the Orchestra, workshops in the annex rooms of the EMM and Josep M. Ruera conservatory. I the third future phase we will try to widen the second phase to the prisoners with mental discapacitty from the Quatre Camins prison. 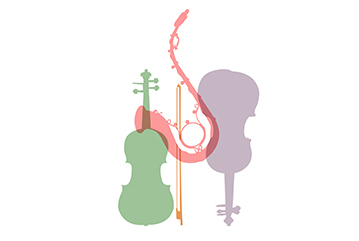 Musical training for students of EMM and Granollers Conservatory from a mutual agreement,across diverse supervised by their Artistic director (master classes,open rehearsals and participatory)which always concludes in a shared concert I the Orchestral season under the direction of the director (Coreado Bolsi). The training of future professional musicians in our country,by agreement with Conservatori Superior de musica del Liceu,which allows young musicians to widen their training with rehearsals,concerts with a equable template under their appointed Director. With other entities and musical agents and cultural activities in the city as the country to develop all its artistic and creative potential around (appointed composers,actors , scenery designers from the country).